Changes to races and race format at meetings. 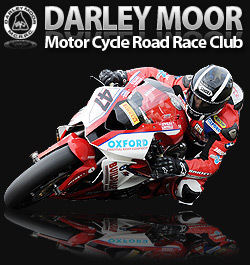 As some of you may have noticed we have lost a couple of very pooly entered classes at Darley Moor for the 2018 season. To make use of the time we hope to gain we have added a couple of non-championship races to the beginning of the day's programme. 1. 600cc and open class Allcomers race. The cost of this race is £25.00 and it will be open AS AN ADDITIONAL RACE to anyone entering a Championship Race for 600cc or Open Class Machines. 2. Allcomers Race for all other solo machines over 100cc and up to 650cc twins AS AN ADDITIONAL RACE to anyone entering a championship Race for those classes of machine. We will accept the first 36 riders entering the two Allcomers races. After which we accept up to four reserves in each race. Anyone not getting a ride will recieve a refund. This will mean that the first Championship race after Practice may not in future be the Peak Cup. Further details in your Regulations.